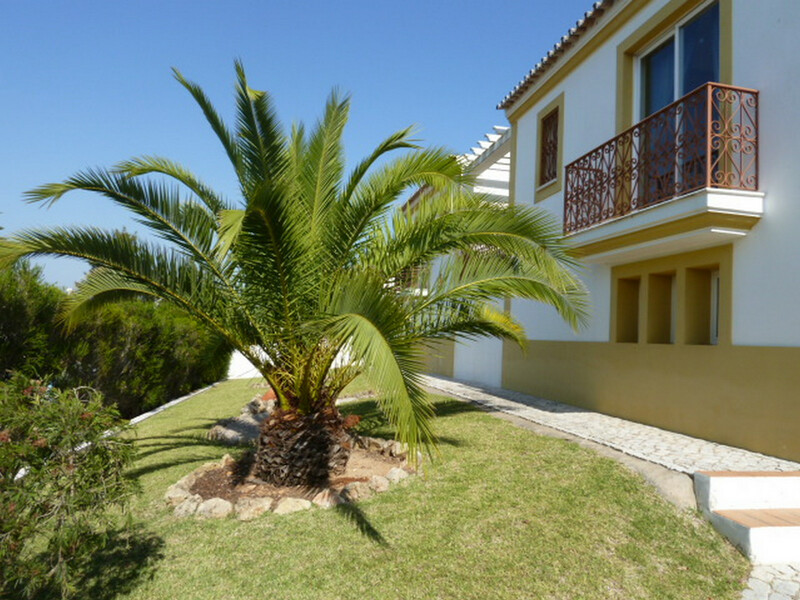 Very sunny south facing, Villa Ana, 3 bedrooms, 3 bathrooms in Quinta Alamos. Lounge, kitchen & double bedroom all have doors to terraces, pool, garden & BBQ. The partly covered pool terrace is welcomed, on this very sunny pool & terrace. Colourful & beautiful garden & pool offers you a relaxing & enjoyable holiday. The attractive table & chairs overlooking the pretty terrace and great views. 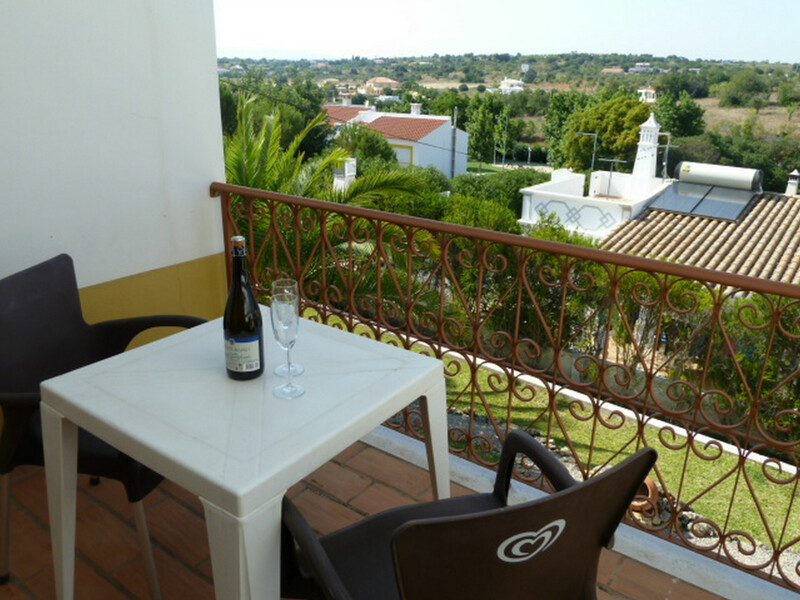 Relaxing & cool, rear garden terrace enjoys great views of villas & countryside. Villa Ana's comfortable & spacious lounge/diner enjoys great all round views. A light & bright 'very cool' north facing bedroom, private bathroom & balcony. Another 'very cool' north facing bedroom with balcony (all rooms have shutters). Villa Ana also has this big lawn area at the back of the villa & room balconies. All 3 full bathrooms are the same style with basin, w.c.& bidet (1) with shower. 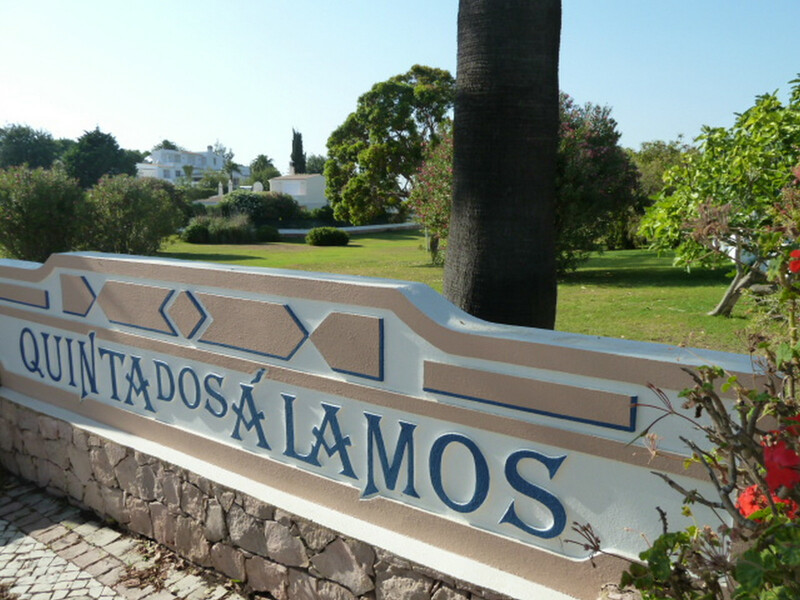 Beautiful Quinta dos Alamos is a joy of a place to stay with many green areas. Sao Rafael, one of many amazingly beautiful beaches, west of Albufeira marina. The lively & colourful Albufeira fisherman's beach, is very short drive away. Adjoining Fisherman's beach also beautiful, as are all of the Albufeira beaches. The colourful & lively Praia da Oura beach is also a must visit Blue Flag Beach. 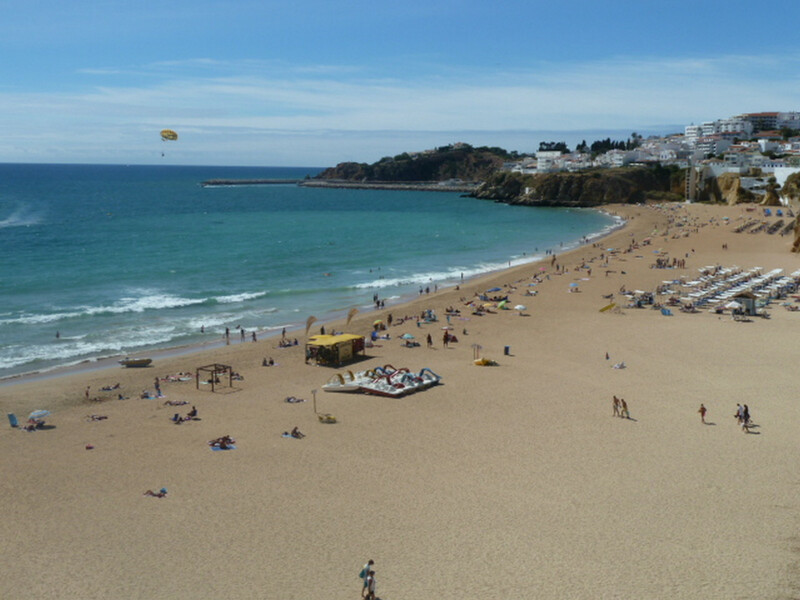 Albufeira - Olhos de Agua, a beautiful Blue Flag fisherman's beach and town. The stunning, amazingly beautiful, very long stretch of golden sands of Falesia. 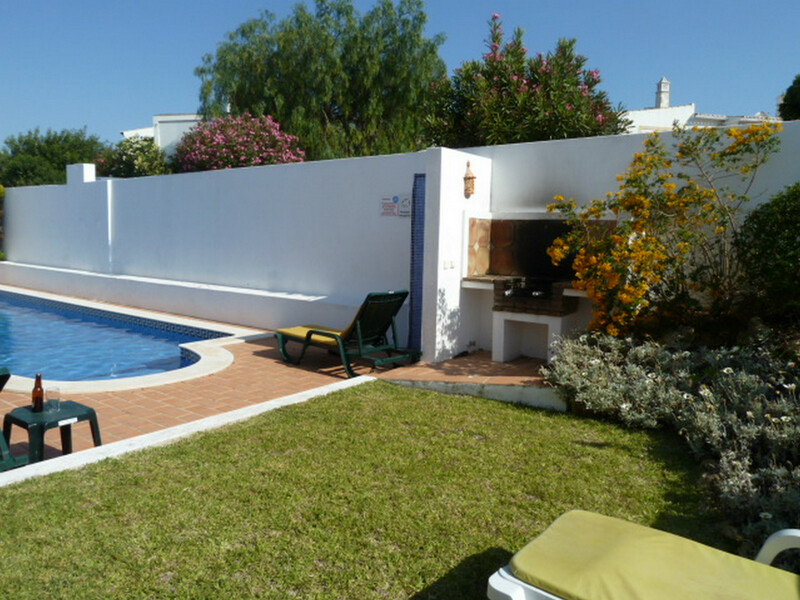 Villa Ana, is a lovely villa with 3 Bedrooms, 3 Bathrooms (2 en-suite bathrooms). Located in the very pretty & colourful Guia, Albufeira. 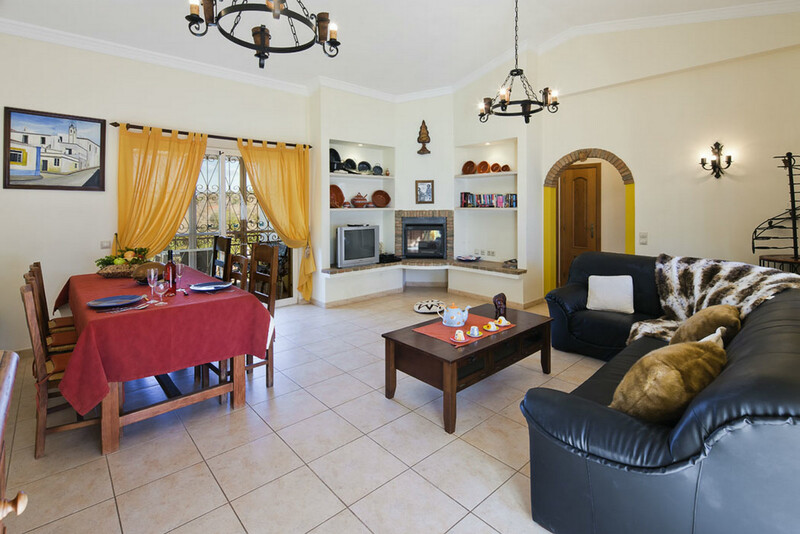 Villa Ana, is a lovely villa with 3 Bedrooms, 3 Bathrooms (2 with en-suite bathrooms). If ever there was a perfectly located, low budget holiday villa, it’s Villa Ana. It’s easy for me to say, because myself & my wife, had the pleasure of staying at Villa Ana for two glorious weeks! Which I still have very fond memories. Everything about the villa is perfect, the sunny location, lovely all round surroundings, vast amounts of green areas, low rise buildings, fabulous daily walks, Cliff Richard’s nearby vineyards, the Friday market, the daily fresh food & fish market, visits to the local butcher, restaurants and cafes, all from only 500 metres away, an easy 5-10 minutes walk. Villa Ana is perfectly located in a dead end street in the sought after, quality resort of Quinta dos Alamos. We are very fortunate to rent Villa Ana, because, for many years this was one of Thomson Holidays (Tui) favourite villa, which was always booked. But now, we rent it exclusively! And at much lower prices. The villa has 3 well appointed bedrooms with 3 bathrooms (2 of bedrooms facing the cold north, ideal for the hot summer weather between April & October, each of these bedrooms have its own balcony, overlooking the large garden & lawn), the other bedroom overlooks the pool with double doors to pool & terrace. The whole villa is perfectly laid out on one level, with an open-plan lounge /dining area, comfortable sofas, Satellite TV, table & chairs, with 2 terraces, including, the always cool, north facing terrace with table & chairs, perfect for outdoor dining & relaxing, or, enjoy, the always, very sunny south facing pool terrace. 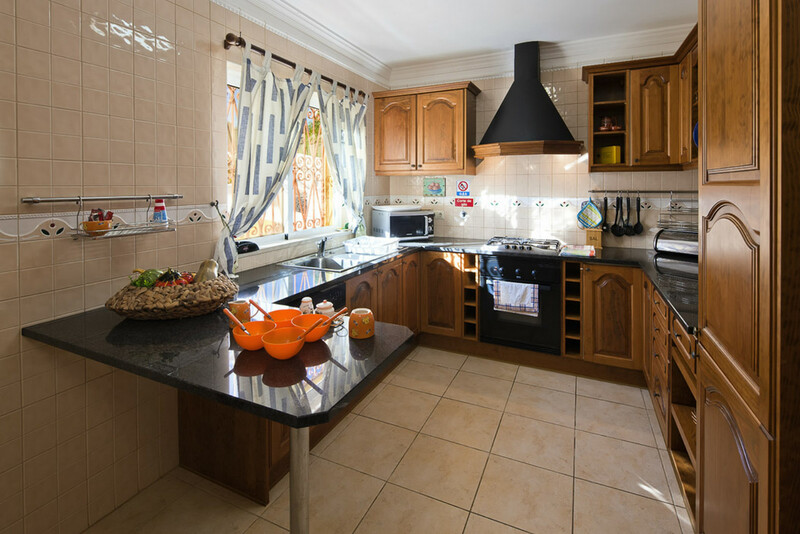 The fully equipped kitchen overlooks the lounge/dining room, terrace and pool. The sunny, private pool with an excellent size 10 metres x 2.10 metres pool with walk in roman steps, with pool depths from 1.00 metre to 1.85 metres deep. There’s a built-in BBQ, located besides the pool and pool terrace, table & chairs, and sun beds, all forming & creating delightful area to enjoy and relax. The villa is gated with private parking for several cars. 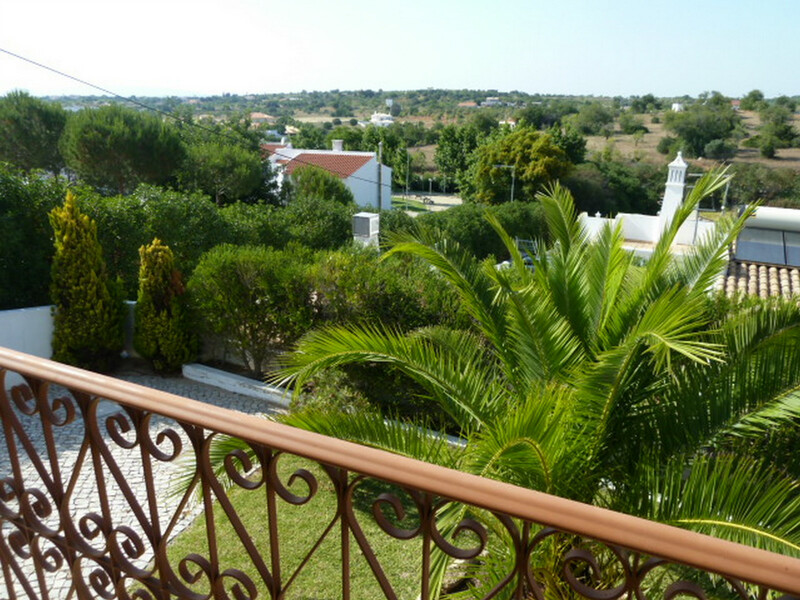 The villa’s great location and accommodation is assured of a relaxed & lovely atmosphere, offering you a world away feeling from the hustle & bustle of some of the busier resorts within Albufeira. Yet! The villa, is close to everything in Guia, with all the comforts you require, ensuring you a nice holiday. It is highly unlikely you will find a good quality, 3* budget villa like this one, at great prices. But you be the judge of that. Do not expect the luxury of an expensive air conditioning villa. But, what you will get, is a comfortable, and great value for money villa holiday. Guia, is not just famous for delicious chicken piri-piri, which you must taste it, to believe it! Guia, Is also well known, as a charming & enchanting town with very friendly people, ensuring you a perfect, slow paced relaxing holiday. Your nearest restaurant, is only 500 metres away, or 200 metres walk through a hole in the fence near the villa, which everyone uses. Enjoy amazing, tasty chicken, with or without hot sauce, both delicious with tasty fries and salad. All of the restaurants in Guia, specialise in Piri-Piri chicken, however, most of the restaurants, also offer, other delicious Portuguese dishes. Other specialities include Steaks, Grilled prawns, Bacalhau, Fish dishes and other local specialities. One of the restaurants offering a good variety of dishes is “Alfredo’s” in Guia. On offer at all restaurants, superb Algarvean sweets, sangrias, excellent Portuguese wines are always available, also try the locally made fire-water, with your coffee, the deliciously fruity & very strong ‘Medronho’, served under the counter. Within the slow paced and colourful Guia, enjoy the pretty churches, the friendly people, and all the nice things on offer – wide & varied choice of restaurants, cafes, snack bars, a local butcher, supermarkets, a daily market offering lots of local produce vegetables & fresh fish, etc, banks, a chemist, mini markets, local shops, including the weekly, outdoor Friday market, in fact everything is here for your enjoyment, and your daily needs. Guia is also home to the famous Zoomarine offering a great day out for young children, with dolphins, sea lions, parrots, shows, swimming pools, etc. Not forgetting, Guia also has one of the best shopping malls on the Algarve ‘, and is located only 1.5 km from the villa. It is open every day from 11.00 to Midnight, and it is home to many famous names, including Zara, Mango, Morgan, jewellery shops, sunglasses shops, electrical shops, mobile phone shops including Vodafone, many restaurants including Continente supermarket ideal for big supermarket shopping, and there is a taxi rank. If you can tear yourself away from magical Quinta dos Alamos and Villa Ana. Algarve is a wonderful holiday region with many interesting inland villages, the mountains & spa town of Monchique, Silves Castle, Portimao town & port, pretty town of Alte, Loule with its weekly market, historical towns of Lagos, Sagres & Cape Sao Vincente. Ancient town of Olhao, not forgetting Tavira – The Venice of the Algarve, and Faro, the capital of the Algarve is a must, with many historical buildings, pretty marina, etc. As for Albufeira’s the famous, bustling Albufeira old town with many shops, seafront restaurants, and its beautiful & colourful Fisherman’s beach can be found under 5 km away, (5 minutes drive). There are many other golden sandy beaches, a short 6 km drive away, mainly all Blue Flag Beaches, including the beautiful Sao Lourenco beach & the stunning, long stretch of beach of Gale. If it’s beautiful sandy beaches you are seeking, Gale coastline, have many other, must visit Blue Flag Beaches, including Evaristo beach, Coelha beach, Sao Rafael & others, including our favourite hideaway Arrifes beach! All with restaurant & bar. The colourful Albufeira Marina is also worthy of a visit with many yachts and unique colourful designed buildings. If you want to visit a lively resort, there is Albufeira old town with its pretty narrow streets, colourful houses, many shops, restaurants, cafes, lively bars, clubs, etc, under 5km away, a short drive away. East of Albufeira old town, there are many other, beautiful, sandy beaches, the lively Fisherman’s Beach in Albufeira old town, the colorful Praia da Oura, the picture postcard beach of Santa Eulalia, Maria Luisa, the beautiful fisherman’s beach of Olhos Agua, not forgetting the beautiful, long stretch of beach of Falesia. Enjoy Charming Guia & Quinta dos Alamos, Enjoy Albufeira’s many attractions and beautiful coastline, considered, one of the best in Europe. 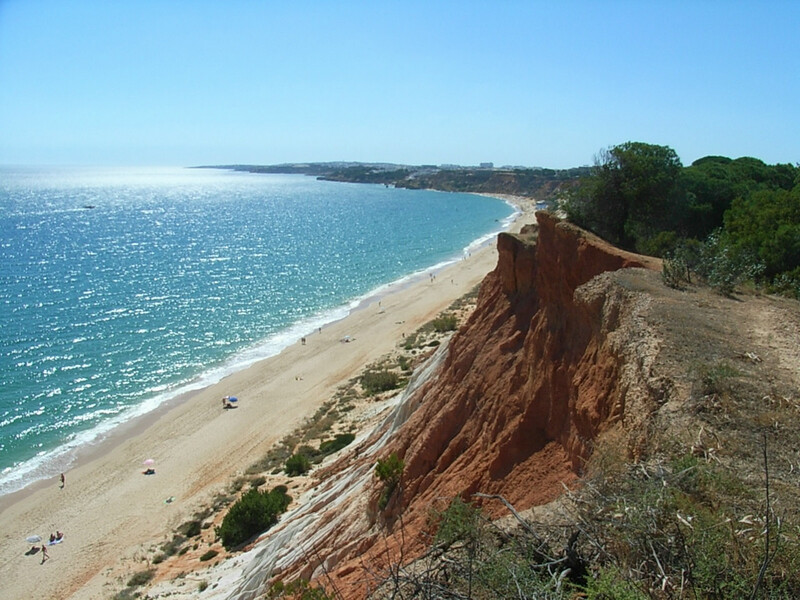 Enjoy this beautiful, unspoilt region of the Algarve. If you don’t want to hire a car, and require private transport from your villa door, we have, a cheap mini bus service available, to any Albufeira town, endless beautiful beaches, bars, clubs, golf courses, bus station, train station, a local market, etc. 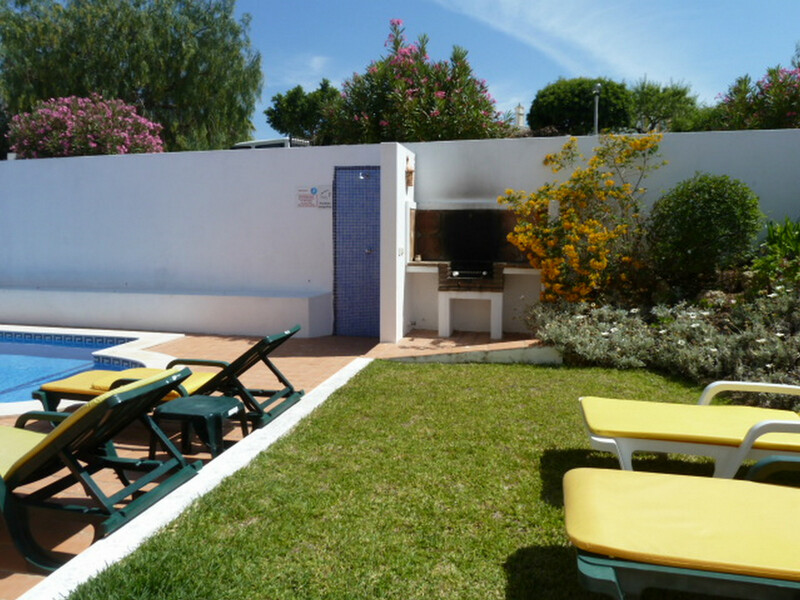 In fact anything at all within Albufeira, other areas of the Algarve also available. 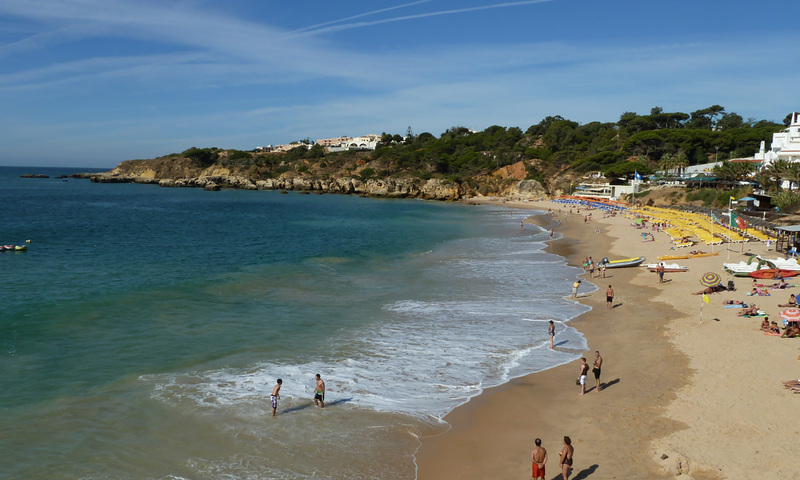 For quieter & more beautiful beaches are available to you throughout Albufeira. West of Albufeira marina, Sao Rafael, Arrifes, Coelha & Sao Lourenco to mention a few, including the stunning long stretch of beach of Gale, only 6 km away, a short 5 minutes drive. All beaches have restaurant/s & bar. Salgados Golf, 18 Holes, Par 72, Course distance 6080 m. Located near villa in Albufeira, Algarve. A Warm welcome is guaranteed of this fascinating & sunny region – the Algarve. All of the bedrooms are well appointed, light and bright with shutters. Two of the bedrooms have a private bathroom. 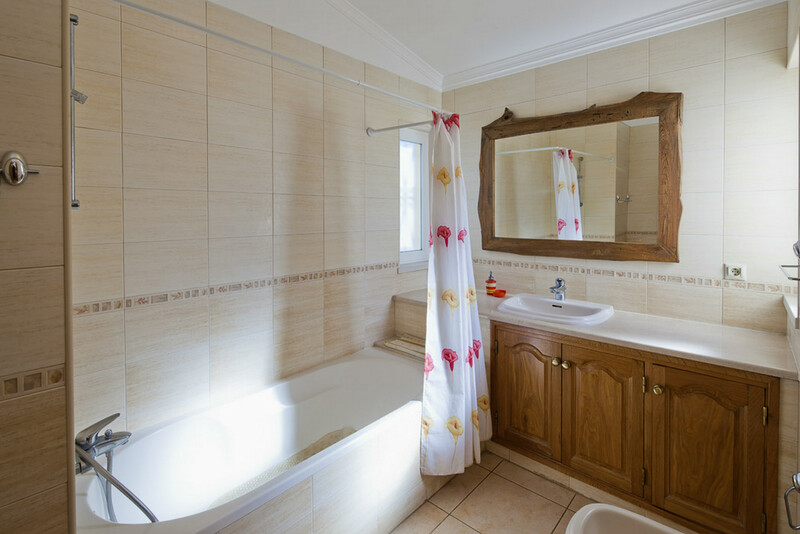 All of bathrooms are light and bright with window, all beautifully tilled from floor to ceiling. Two of the bathrooms are en-suite bathrooms. Nearby, short walking distances:-*Supermarkets *Mini Markets *Off Licences *Restaurants *Cafes *Daily Market, with fresh local produce, fruit, vegetables and fresh fish *Butcher *Banks *Chemist, Weekly market, etc..
Nice clean house. Very quite during easter. Service was verry good. We’ve just had a fabulous week at Villa Ana. It’s exactly as shown in the pictures. 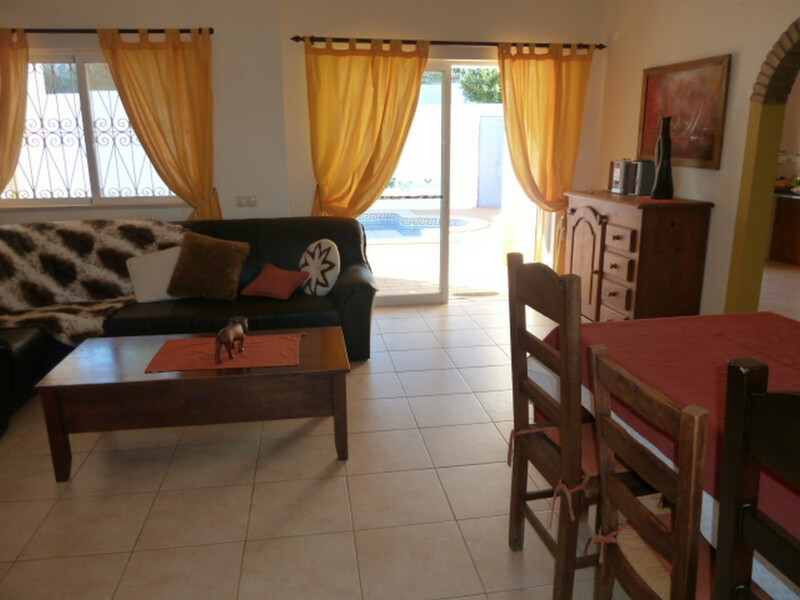 It’s very well maintained, spacious, clean and comfortable with everything you need for a totally relaxing holiday! The beds were very comfy too! The sun rose on the pool area at about 7:15 and was there until it set in the late evening. There is also a nice area which is in the shade all day for those, like me, who can’t sit in the sun all day. My husband and I were there with friends who love to cook so the built in barbecue at the pool area was put to good use. The pool itself was so inviting for a lovely cool dip during the day and, when lit up at night, it was impossible to stay out of it! Carlos made the holiday a breeze from the time we booked, so much so that he will always be our first choice when booking a villa in Portugal. In fact we’ve booked our next holiday with him again already. He was very informative about the area and provided us with very helpful maps, which helped us find our way around. Guia with all it’s restuarants etc was an easy 10 minute walk away. I would certainly recommend it and Carlos to any of my friends. We will definitely be back there again. My wife and I have recently spent two weeks at Villa Ana and enjoyed every moment. 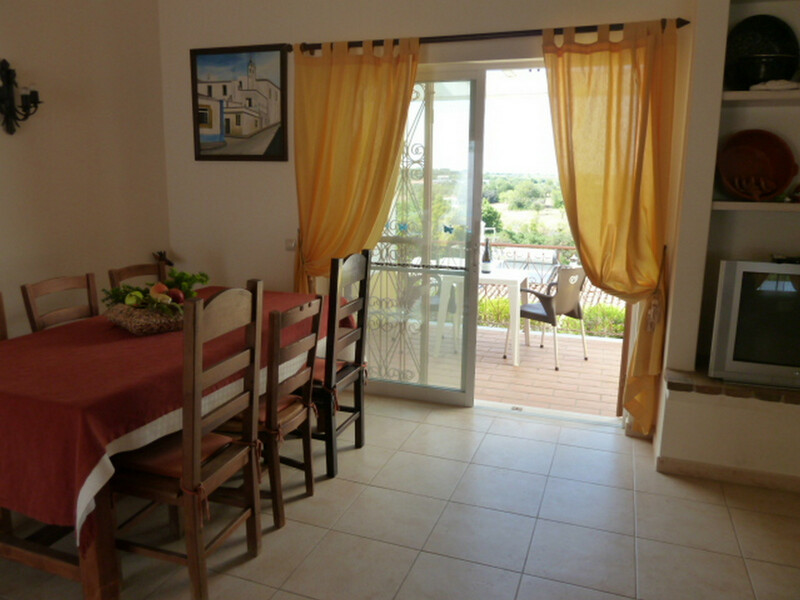 The villa is situated on edge of the village at the end of a quiet cul – de – sac with an easy walk into the village. 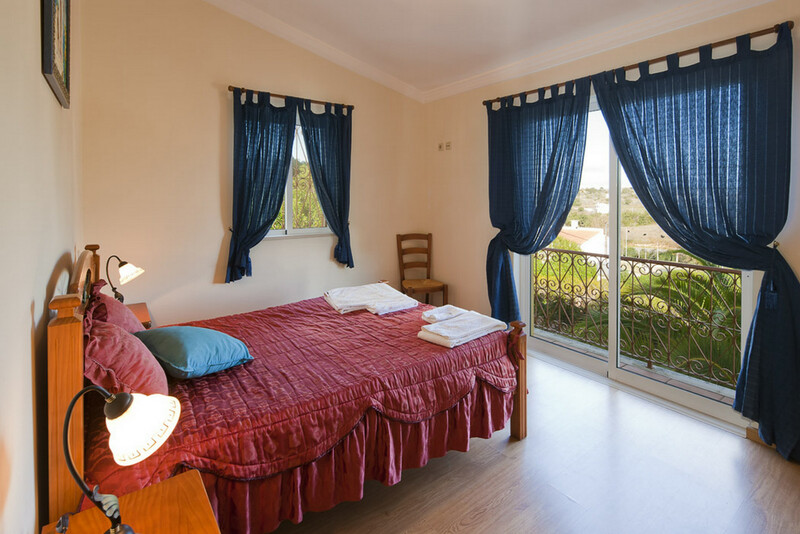 A 15 to 20 minute walk takes you to the Algarve shopping centre where there is a large supermarket.The grounds of the villa are well maintained the and pool is cleaned regularly. Inside, the villa is very homely and has some interesting and unusual fittings and ornaments. There is sufficient equipment available to live there comfortably. We would certainly stay there again. The whole holiday was organised by Carlos from Portugala.com and nothing was too much trouble. We had a problem with the television during a weekend and between Carlos and the owner Ana it was sorted with the minimum of fuss. A good experience from start to finish. When booking a stay in this villa, my family and I were quite sceptical as this was the first time we’d ever booked a villa as opposed to a normal hotel and it was also our first time visiting Portugal. However, after contacting Carlos, we were sure this was the place we wanted to stay. Carlos informed us of everything we could do, from water parks, attractions and restaurants. He was very helpful, replying to all queries via phone and email. 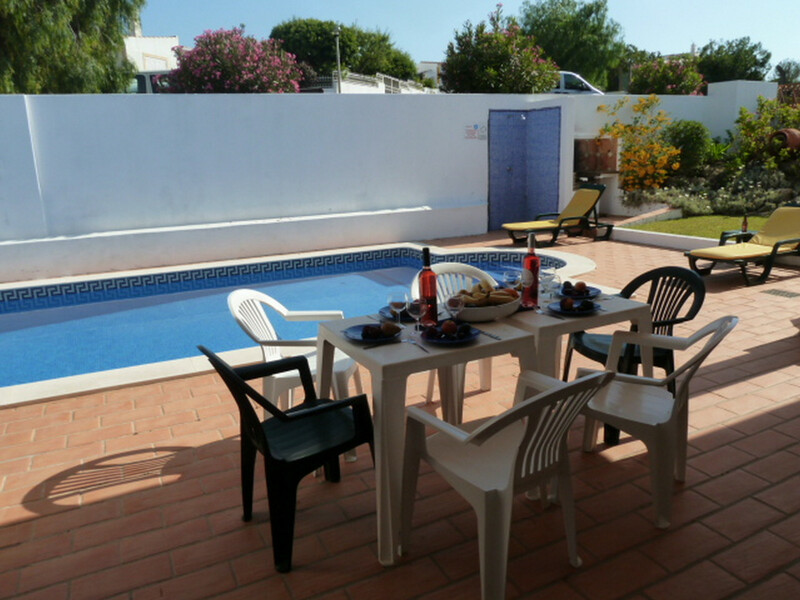 The apartment is located in a very nice and quiet area amongst other villas. This villa is VERY beautiful, spacious and has everything that you need, whether you want to stay for 3 nights or 10. It was clean when we got there and was cleaned again 3 days into our stay. It can be quite a distance from attractions but there’s no need to worry as you are given two excellent and very friendly drivers (Hugo and Flavio) who drive you around for just 2 euros!! Hugo gives you his number so you can contact him whenever which was really helpful as we were often undecided on where to go. Overall, I’d say this apartment is definitely worth the money and my family and I would like to thank Carlos and Hugo on making our stay as wonderful as it was.